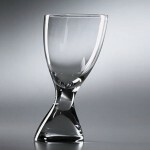 Nambé Tilt Wine Glass (P/N 5530). 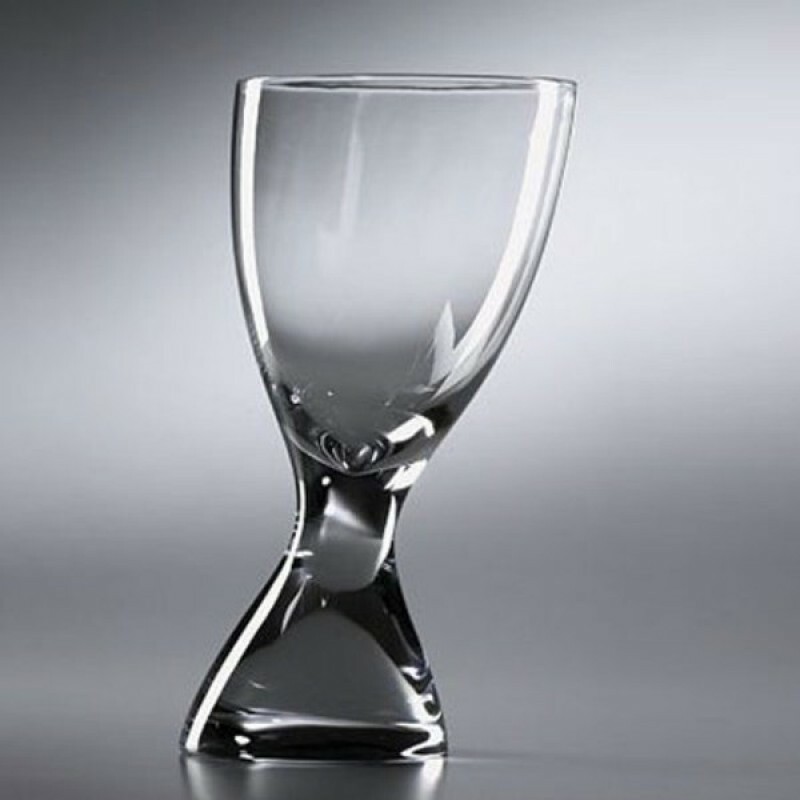 The graceful tilt of these elegant full-lead crystal glasses are skillfully mouth-blown and hand-cut by European glassblowers. These glasses seem to spill forward, but never fear, it's all in good fun as a solid, sloping base provides the necessary counterweight and adds balance to the design.